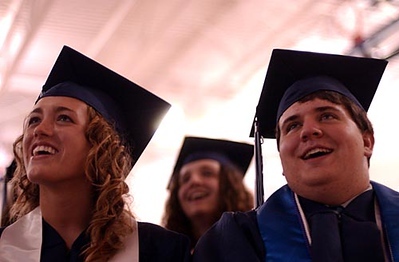 Grand Traverse Academy graduating seniors Megan Charlton, 18, and Chris Chism, 18, laugh during a slide show of classmates during Friday evening's commencement ceremony at the G.T.A. campus. Over 30 seniors graduated from the school.